On September 9th, 2018, musical drama C’est Presque Rien was presented at the NCPA. 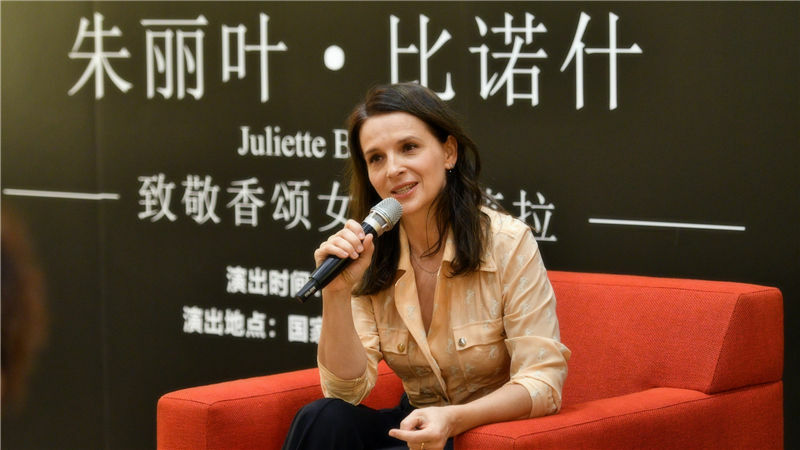 French actress Juliette Binoche and pianist Vincent Leterme revived lyrics and songs by Barbara on stage, adding a touch of French style to the NCPA International Theatre Festival 2018. Based on the autobiography Il Était Un Piano Noir authored by French chanson singer Barbara and her songs, musical drama C’est Presque Rien resounds the odes to life and love in Barbara's works, as well as pain in gloomy darkness during her lifetime and hope under innermost burdens. As one of the most influential legendary French composers and singers in the 20th century, Barbara is unique in her stage image and especially preferred live performances that close interaction with audiences. Year of 2017 marks the 20th anniversary of Barbara’s death and France has set off a wave of memories for her. A photography exhibition and series of concerts were held at concert Hall of the Philharmonie de Paris. Musical drama C’est Presque Rien was also created to pay homage to this occasion, which was unveiled at Festival d' Avignon 2017. 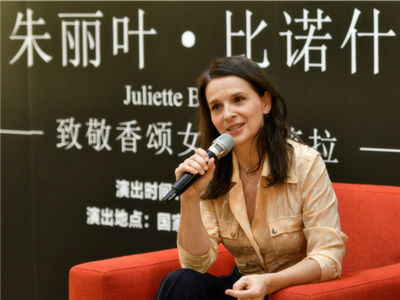 Juliette Binoche introduces the highlights of the play in the conference. In the performance on September 9th, Barbara’s autobiographic writing and performers’ memories for her mixed together on stage, and impressed the audience. The minimalist stage setting and the interlaced lighting described Barbara’s inner world in an abstract manner. 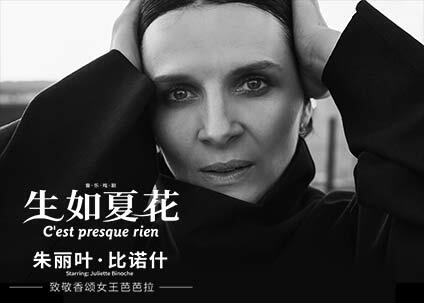 Her legendary life story-line ran through the whole work against the backdrop of Juliette Binoche’s singing and performances. During September 13th-15th, the NCPA International Theatre Festival 2018 will end with a full-length drama SHANG Yang. With CHEN Xinyi as chief director and YAO Yuan as playwright, SHANG Yang depicts the life story of the political reformer SHANG in the Warring States Period and reviews the political reform course over 2,000 years ago. With the end of SHANG Yang, the NCPA International Theatre Festival 2018 will also ring down the curtain. Theatre Festival 2018 lasts for more than three months, invites well-known artist groups from China, the UK, France, Germany, Australia, Denmark, Austria, South Africa and other countries to gather at the NCPA stage, and presents 84 virtuoso drama performances in over 20 works. In the evening of May 29th, the 8th round of the NCPA drama Returning Home on a Snowy Night went on stage.